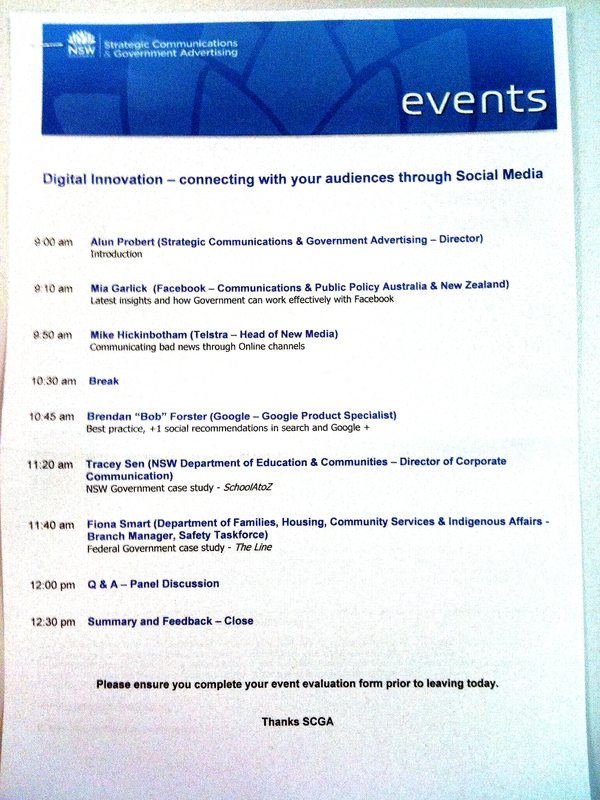 I went to a Government and Social Media Forum event this morning. I started using #govsocialmediaevent from the second presentation onwards as there was no official event hash tag, (fail!). No digital copies of handouts or agenda that I could find hence photo as follows.